The Maidstone Table Tennis League closed championships were held on the 9th / 10th February 2019 at the Cornwallis Academy. 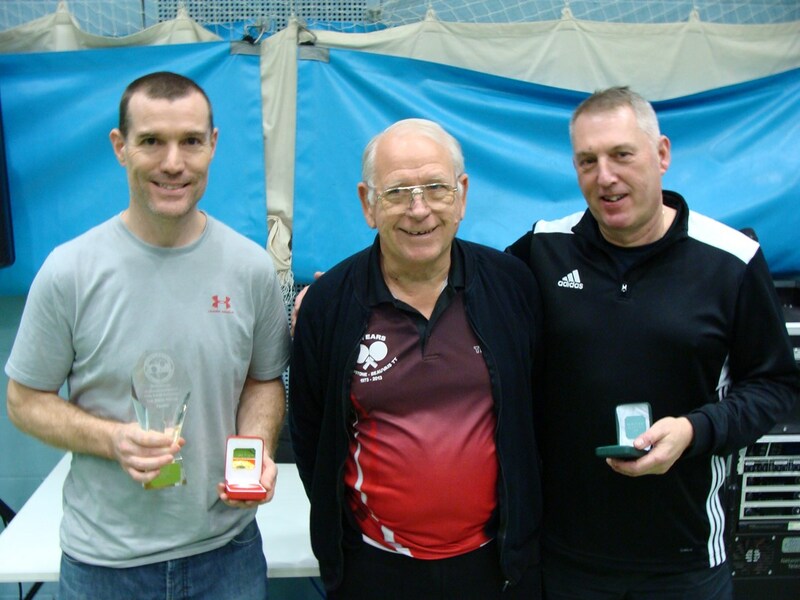 The seeds generally made their way through the group stage in the Men’s Singles, but third seed Wayne Youngs was beaten by Paul Woollven and fourth seed Miro Danadzhiev was given a real scare just scraping home against second division Alan Morton. Sixth seed Will Wrapson overcame Martin Ball in one semi-final, while in the opposite semi, top seed Wayne Matthews beat Miro Danadzhiev 11-5, 11-8, 11-7. Wrapson went on to complete a comfortable win over Matthews 11-6, 11-7, 15-13 in the final. The Ladies Singles provided the closest semi finals and final. Reigning Champion Claire Blackman scraped through 11-5, 11-6, 4-11, 8-11, 12-10 against Julie Parker and Anna Virogonova was very fortunate to win against the combination bat of Julie Hall 7-11, 12-10, 6-11, 14-12, 11-7. The final proved equally close with Blackman beating Virogonova 12-10, 11-8, 11-13, 5-11, 11-7 to take the title. Claire went on the win the veteran Ladies Singles and the Ladies Doubles with partner Anna Virogonova. Third division Bashford had an excellent win over first division Barry Skates in the veterans O’70’s and went on to gain two more titles winning both the Men’s Class 3 & Division 3 titles. Shev McDonald teamed up with Julie Parker to win the Veteran mixed doubles and claimed the O’60 singles title with a good win over team mate David Clapperton. 10-year-old Joshua Klein showed great promise in the Non-League taster tournament, finally losing to the vastly more experienced Keith Rowland in the final. Men’s Singles semi-final – Wayne Matthews beat Miro Danadzhiev 11-5, 11-8, 11-7.